The quilt on the machine is still not finished. I should have it done by lunch time and get another one started. That’s my goal anyway. So after the day’s work was finished I got my Form not function entry filled out. I had a really hard time getting the photos on CD. After the rush is over I plan to take my computer to a more reputable technician. The main quilt I wanted to enter was too wide by about 10 inches. These are the three I’m entering. This one is Jack be nimble of course. This one is Sisters and their horses. And this one is fan dancer. I don’t enter contests expecting to win. Especially this contest. I only want to see my work hanging in the gallery next to the work of all those artists. 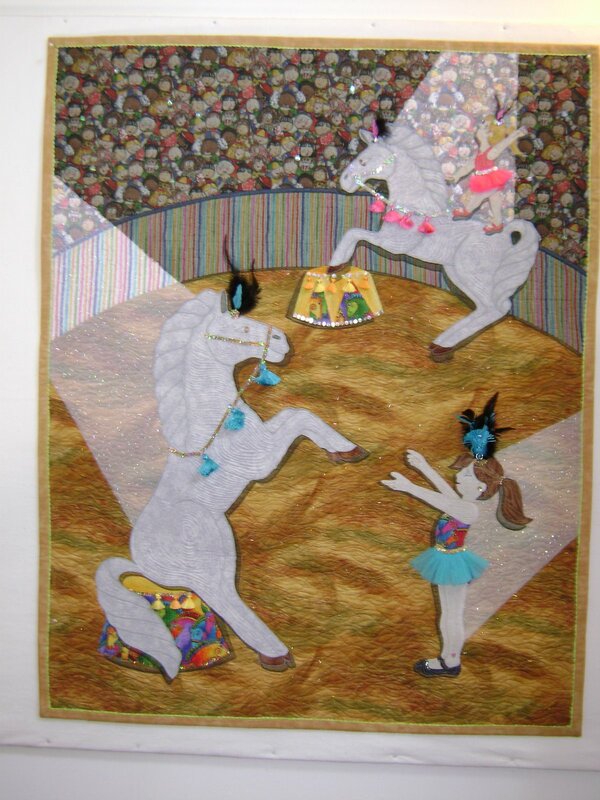 I’ve never entered an art quilt contest and I’m curious about it. So I entered to help my curiosity. 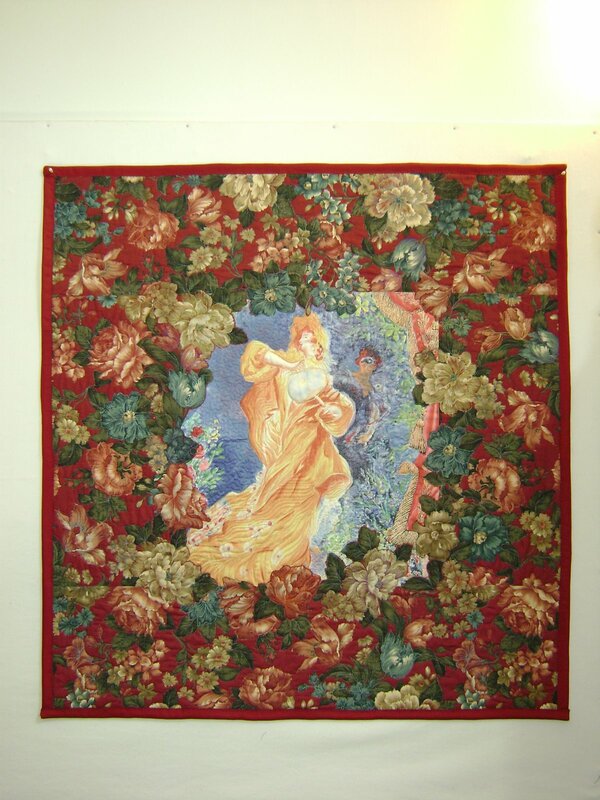 If my quilts are accepted I will be happy. I’ll try for a win someday in the future. Taking the pictures let me know I need to think seriously about a place in my house for taking photos and some serious time reading the booklet that came with the camera. No one can enter a quilt contest anymore without putting pictures on a cd. I think this eliminates a lot of really good quilts from people who don’t do computers and aren’t willing to pay high dollars for a professional photo. 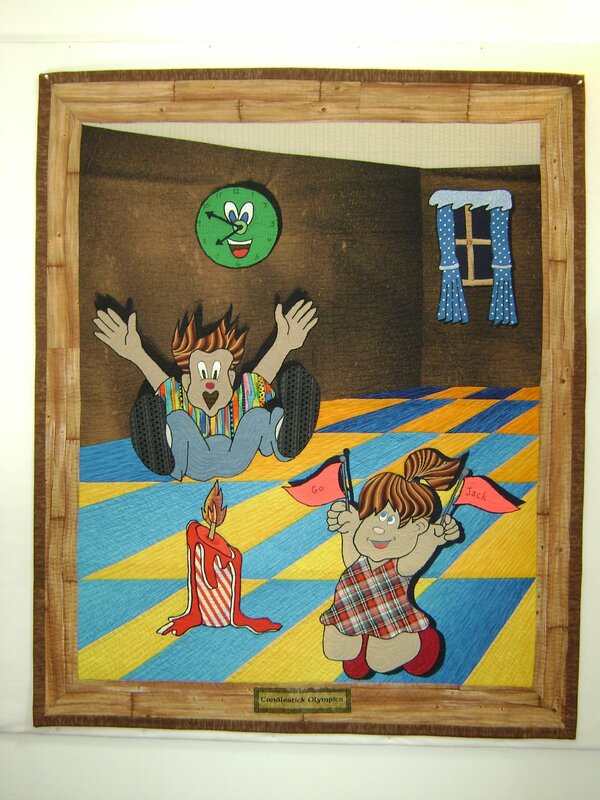 This entry was posted on October 18, 2007 by Anita in Journey 2007, QUILTS - CONTESTS.